This title provides clear and accessible advice to the research novice on the key issues in action research. What is Action Research? How Do I Collect Action Research Data? How Do I Produce an Action Research Report? 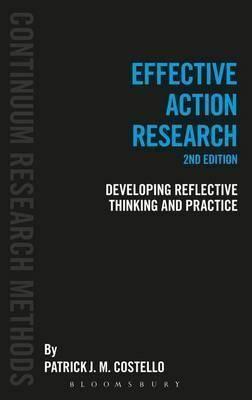 This new edition offers practical advice to educational practitioners engaging with action research, helping them to understand the key issues involved in completing successful action research projects. Focusing on answering a commonly-asked question within each chapter, the author provides accessible advice which can be put into practice immediately. It is essential reading for all educational professionals looking to carry out an action research project in their setting.